Today, I am delighted to share another special story with you. It is written by Slovene blogger Saša - Lunaspi. I love her blog, because she has so many interesting things to do in her life, and she writes about that in a very special, humorous way. Her freshness always makes my days. "I'm not creative person. I have a friend who is very creative. He always does something creative. But I am not creative at all", says my little nephew with a serious face. He articulates the word creative with great importance. I hold in a laugh. "But, when you get dressed in the morning, you surely choose which sweater to wear, and that is also creativity. You create with colors,"… am trying to encourage him. The boy, who is sitting on the steps, looks at me: "You know exactly what I mean. I am not creative person." So, I'm not compelling him to do something 'creative'. No drawing, painting, creating paper, clay or other things. Instead we play board games and nobody thinks about the word creative anymore. Months passed by. The boy goes to school. "Do you know that your nephew drew the best drawing in the classroom?" "We had to persuade him, but when he started, it all went well." On his next visit, my nephew says he will draw a scorpion with a poisonous arrow on the tail for me. "You can die if it stings you", he says. "Should I draw it?" "Aaagh", I say theatrically, "can it at least be at the sunset, so that I can admire the horizon before I die?" "Okey", he says and laughs. He thinks a little bit and I hold back my breath. He takes brown colored pencil and draws a scorpion. He stresses out the sharp point on the tail of the scorpion, so that the paper hardly bares the pressure. I'm a bit worried how will he solve the situation with sunset, but the boy takes a yellow colored pencil and draws right next to the brown line, so that the poisonous animal glows in the sun. "Here", he gives me the drawing. "Ooooo, can I hang it on the wall? Will it sting me?" The boy shakes his head. When we're attaching the drawing on the wall, he starts to explain to me what else he'll draw for me and where's still some space on the wall for his drawings. And I am wondering where did that uncreative person disappear. What stimulates and what blocks creativity? When I read what is needed for a human being to be creative, there is one word that impresses me: to dare. To be brave. To be brave to present your own ideas, your own style and your own way, even if you are a beginner, a little clumsy in your first steps. This is just an ordinary courage, which run away from me the other day when I went into a shop with hats. From all the beautiful creations on wire stands, I chose an ordinary black cap, although I wanted a real hat! How brave are you in expressing your creativity? Posted on December 27, 2013 by Creatissimo - Jozica Rade and filed under 0:: creative together, children, creative process, Giving thanks giving gifts, misc, thoughts, education, guest blogging and tagged inspiration creativity. Besides the words there, you will also see one of my favorite images I made a while ago... It was taken in Mozart's house in Salzburg (Austria). Posted on January 21, 2012 by Creatissimo - Jozica Rade and filed under 0:: creative together, Vision and Verb, creative process, guest blogging, misc, photography, thoughts and tagged Austria self-searching tradition. Question #8: Is there a choice in your life you're really proud of? Find the rules of the game 'Giving thanks, giving gifts 2011' here. Have a good day and thank you for sharing your thoughts! Posted on December 30, 2011 by Creatissimo - Jozica Rade and filed under 0:: creative together, Giving thanks giving gifts, Vision and Verb, creative process, guest blogging, misc, photography, thoughts and tagged self-searching Ljubljana Slovenia winter holidays. What was the most precious gift that you gave to a person or you've got from someone - for which you're still thankful for? PS: Find the rules of the game 'Giving thanks, giving gifts 2011' here. And watch this video to see my plans for the precious gifts I plan to give in the future... Have a good day! Posted on December 9, 2011 by Creatissimo - Jozica Rade and filed under 0:: creative together, Giving thanks giving gifts, Vision and Verb, creative process, guest blogging, my works, thoughts and tagged art works blue brown winter original. Today you will find me questioning myself at Vision & Verb blog. I'd like to hear your opinion and thoughts too. Thank you! 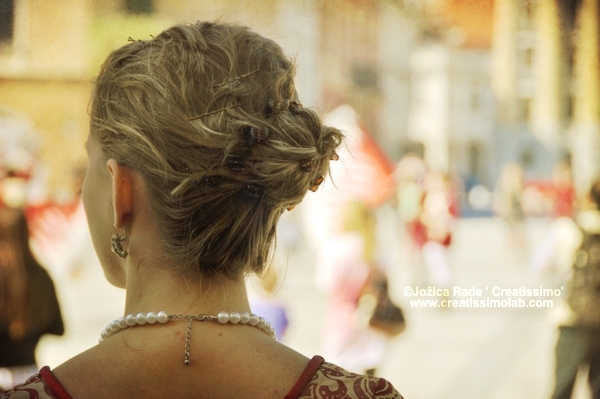 Posted on November 18, 2011 by Creatissimo - Jozica Rade and filed under 0:: creative together, Vision and Verb, creative process, guest blogging, photography, thoughts and tagged respect beauty portraits.